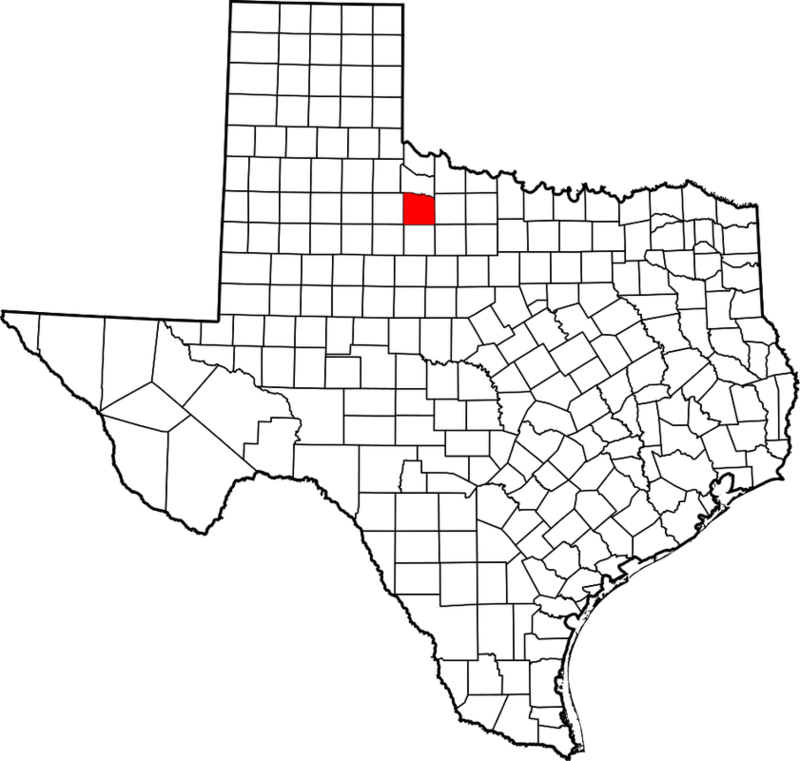 "Knox County is in the Rolling Plains region of northwest central Texas, bordered on the north by Foard County, on the east by Baylor County, on the south by Haskell County, and on the west by King County. The county was named for Henry Knox, the secretary of war in George Washington's first cabinet. 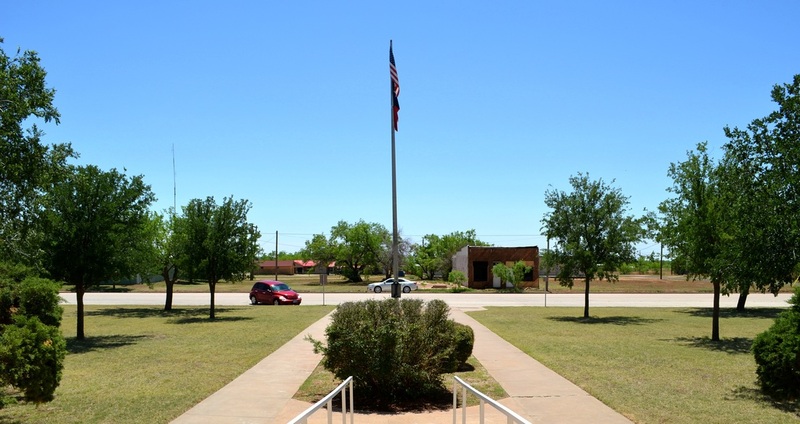 Knox County embraces 854 square miles of level to rolling, mesquite-covered plains, dissected by hilly ranges and eroded breaks; altitudes range from 1,401 to 1,646 feet above sea level. "In February 1858 the Texas legislature formed Knox County from lands formerly assigned to Young and Bexar counties; because the area remained unsettled, it was again decreed a county in 1876 and attached to Baylor County in 1879 for administrative purposes. In 1880 only three farms or ranches were in operation in the county, and the census counted seventy-seven residents. 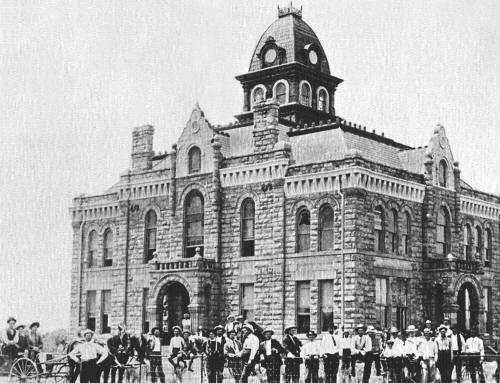 The county was organized in 1886, with the town of Benjamin, founded by Hillary Bedford in 1884 and named for his oldest son, as county seat. 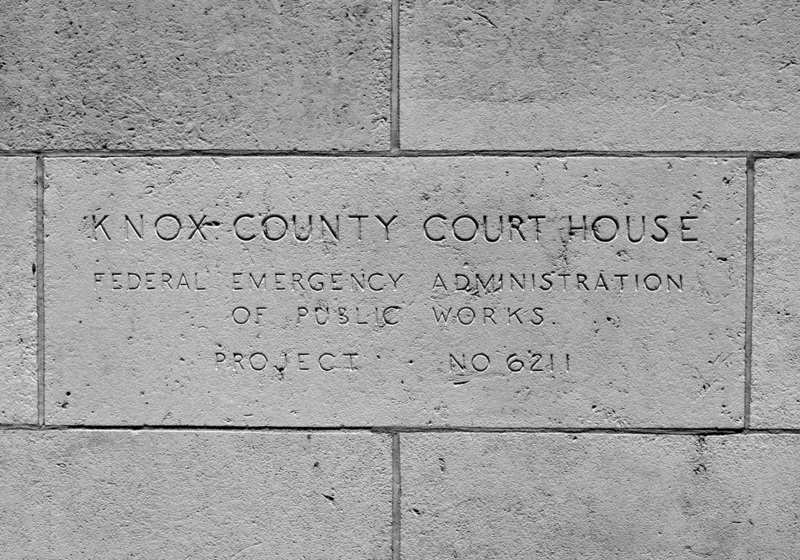 "By 1930 there were 1,460 farms in Knox County, and 11,368 people were living there [which accounts for the large courthouse erected in 1935]." 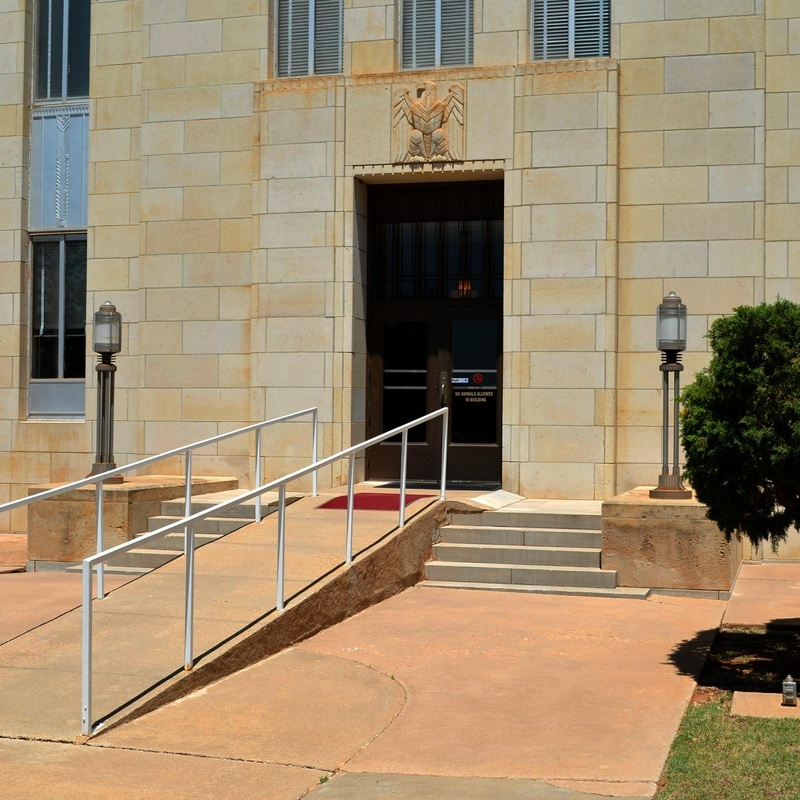 I visited Knox County and photographed the courthouse in Benjamin on Friday, May 9, 2014. Architects for this stone building were McQuirk & Lewis. It was demolished in 1935. 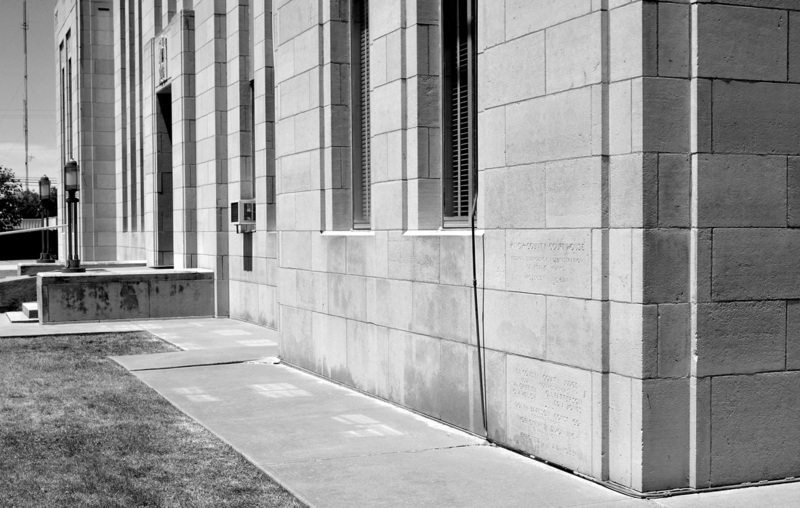 A stone from the 1888 building is displayed in front of the current courthouse. 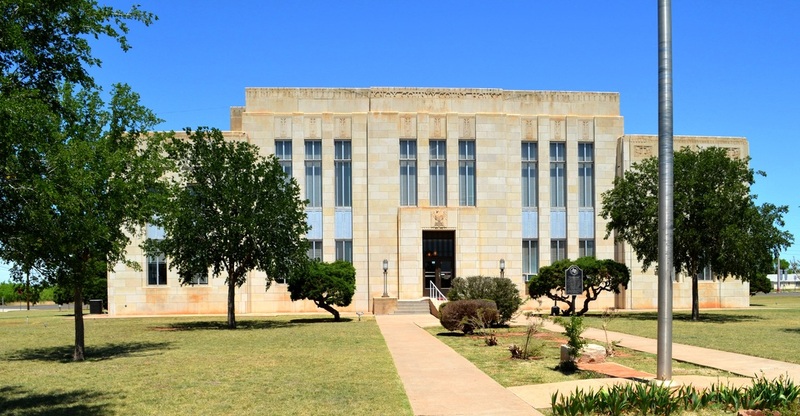 The Wichita Falls architectural firm of ﻿Voelcker and Dixon﻿ designed this classical federal, or moderne styled courthouse in the middle of the great depression. The firm designed 9 Texas court-houses. 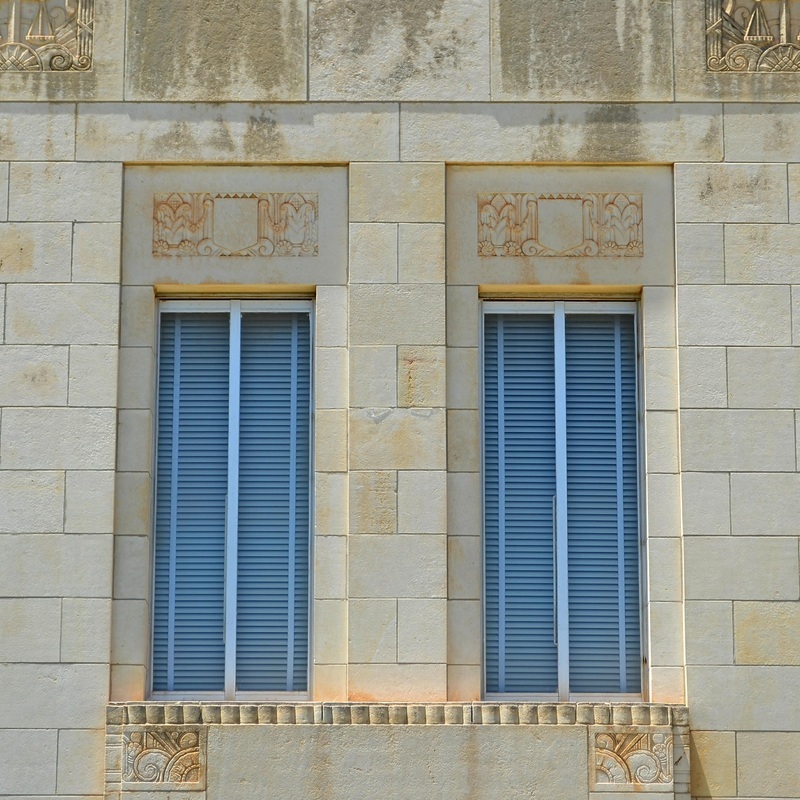 The Knox County courthouse resembles the ﻿Van Zandt ﻿County courthouse in Canton, which followed the Knox building by about a year. 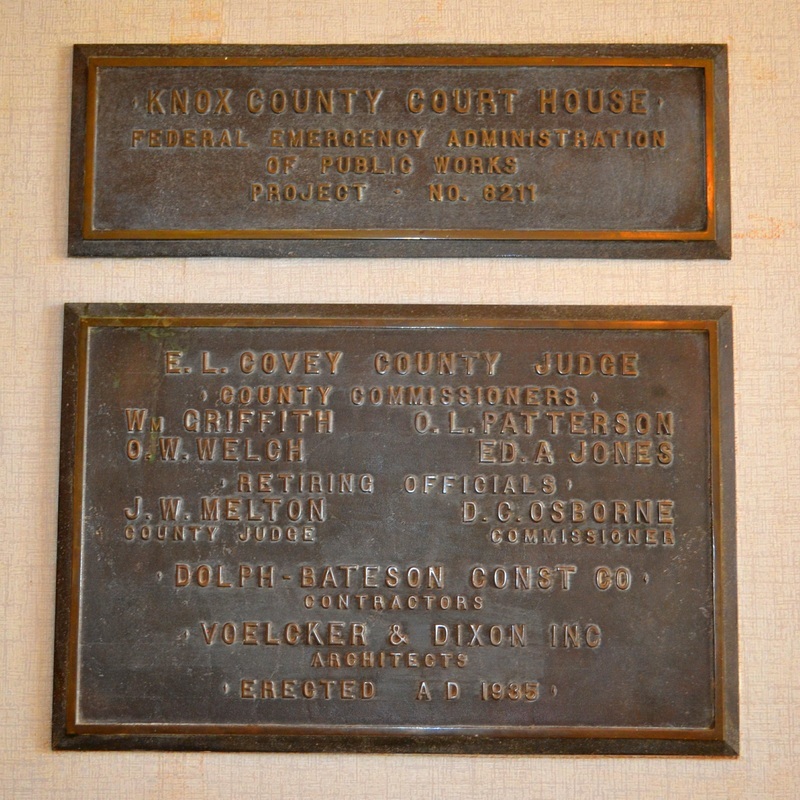 As noted in the county history above, in the mid 30's Knox County had a population of 11,000 plus. 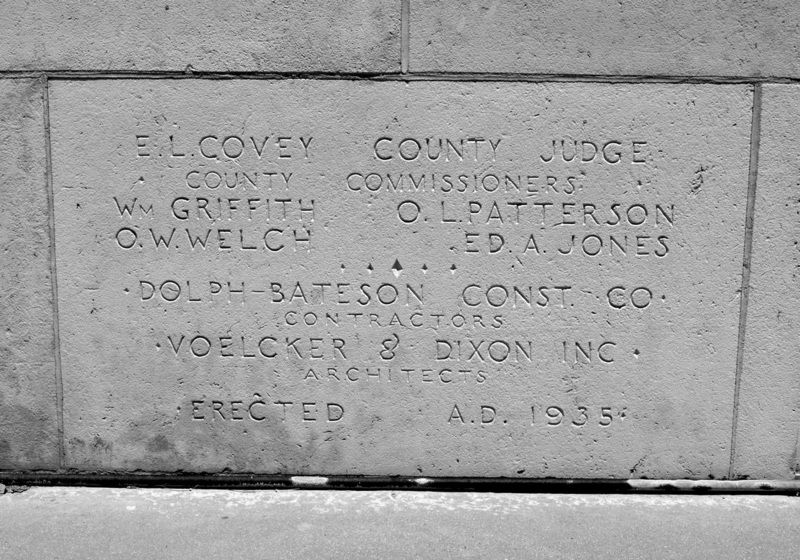 The 1935 courthouse was of course sized to fit that population. 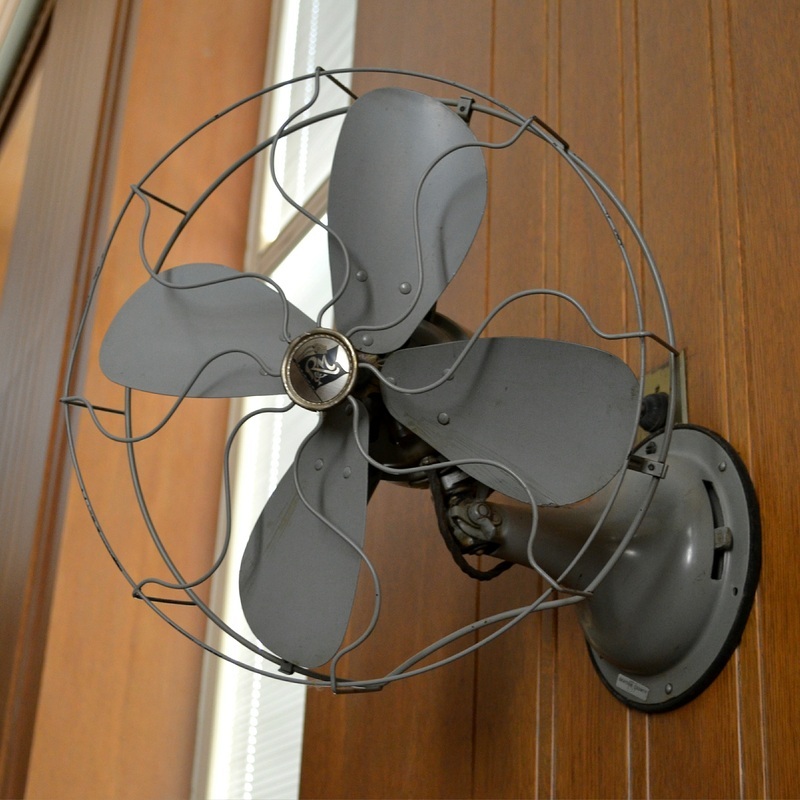 By 2010 the population of Knox County had dropped to 3,719, a little more than a quarter of the population in the 1930's. 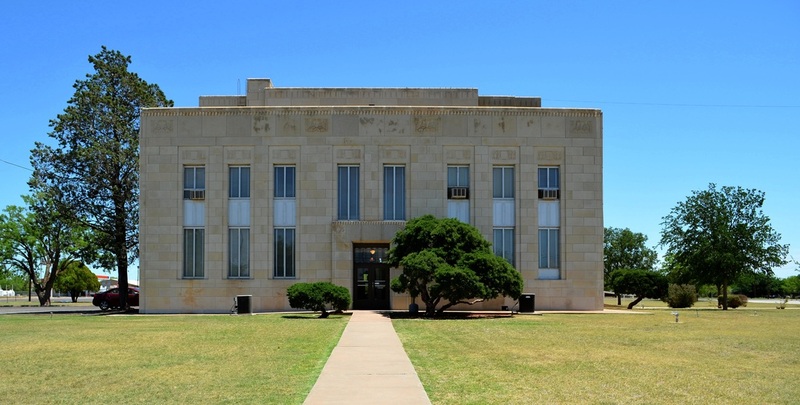 Today, the courthouse is over-sized for the actual size of the county population it serves. 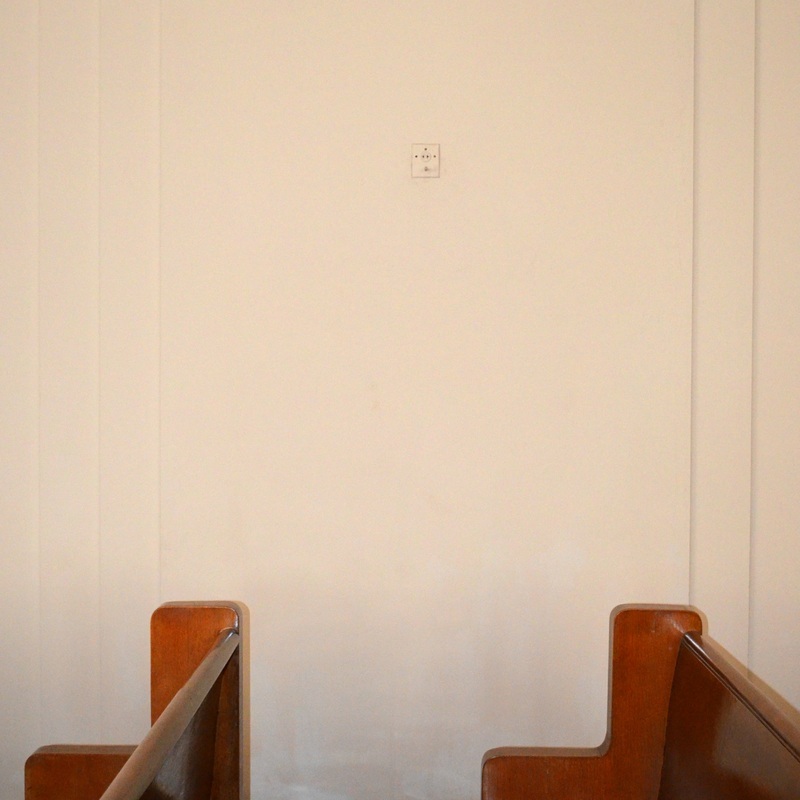 This is most evident in the rather large district court room on the second floor. 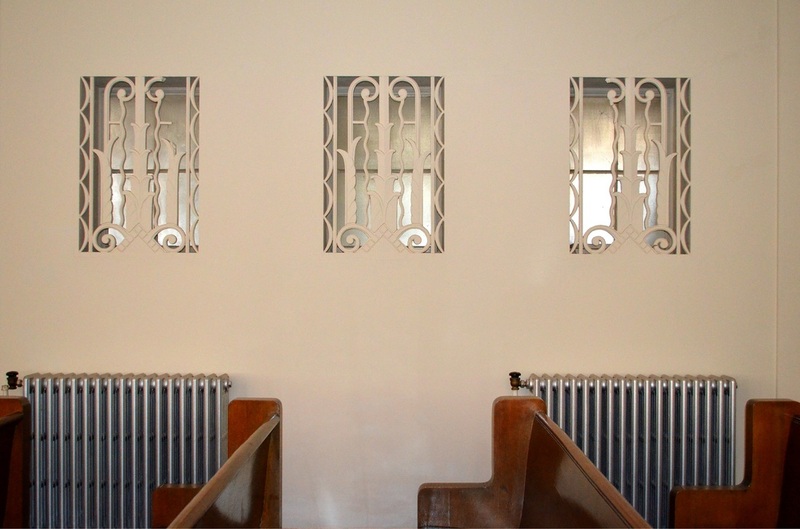 Fortunately, in May 2014 the building appeared to be in relatively good condition. 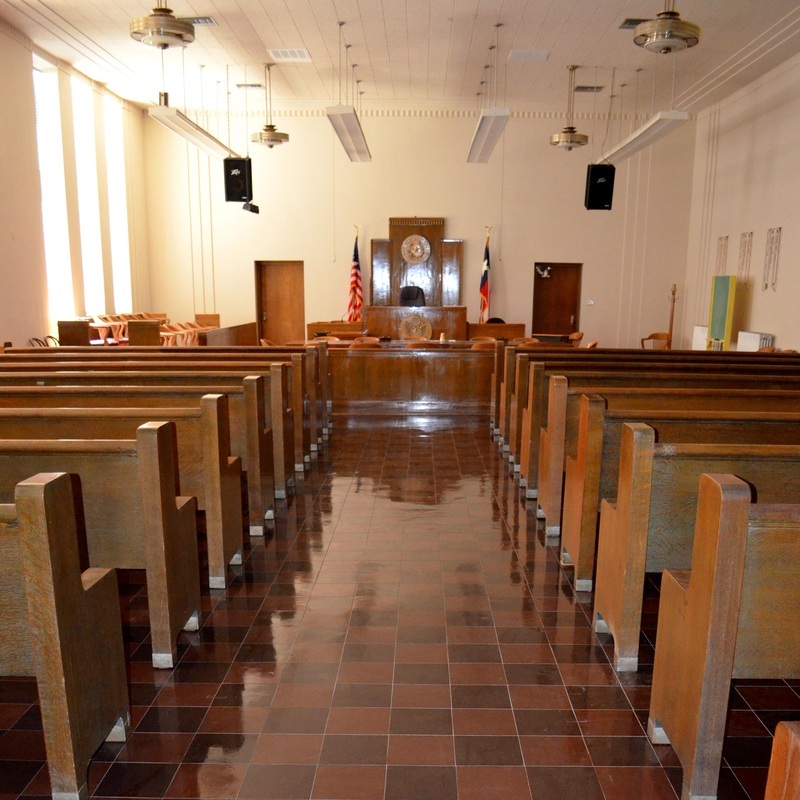 The courthouse occupies a full block in Benjamin, a very small community. Oddly, the building is oriented south, with its back to the main street in Benjamin, US Highway 82. The courthouse square is surrounded by a lot of empty lots. 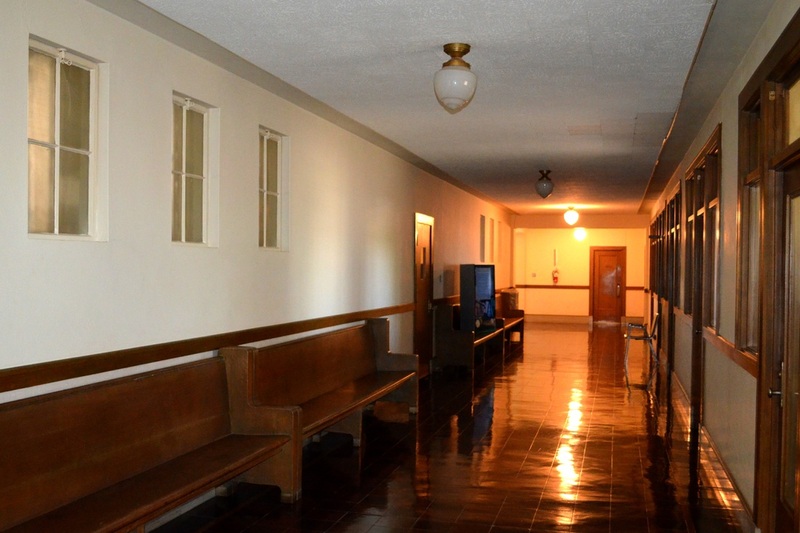 The front entrance is now "accessible"
One of several evenly spaced electrical outlets on the side walls of the district court room. Hum. What purpose could they serve?